Martin, Jeff, Rachel, Bryan, Kyle and special guest Keith Foster watch and then engage in a lively discussion on the 1956 Rodan. 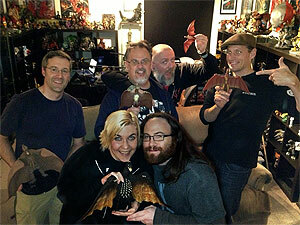 We had a full house in the Kaijucast HQ Tonight! 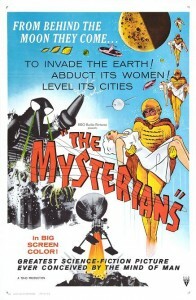 That pretty much means we had more people that I had microphones for this very special Daikaiju Discussion diving into a movie that means a LOT to me, the 1956 Rodan! I was joined by Martin, Jeff, Rachel & Bryan and someone who came out to our fair city to peddle his wares at the newest comic book show here in the Rose City, Keith Foster of Big Pimp Jones! Now… you will hear us talk about Wizard World in this episode as if you can go to that show, but I was unable to get this particular installment up and into the internets before the show was over, I just thought I’d share that information before we get too far. Big Pimp Jones is a funk band led by Keith and we spoke to him in October about Kodoja: Terror Mountain Showdown – the kaiju-themed CD and comic book that Keith and his crew have been putting their hearts into. I highly suggest you check them out if you haven’t – the comic is gorgeous and the music is fantastic. AND there are two albums – in addition to Terror Mountain Showdown they have a “prequel” release called Project: Kyojo. 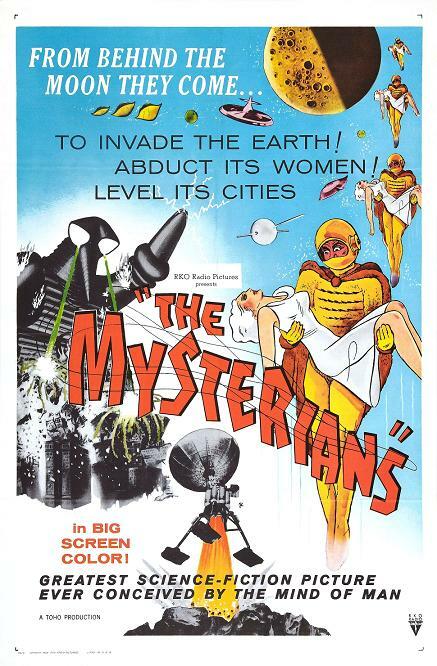 In a not-so-random-order, our next film is actually the next film in Toho’s tokusatsu chronology, 1957’s The Mysterians (also known as Chikyu Boeigun in Japan which translates to Earth Defense Force)! Now, I own the Tokyo Shock version of this DVD, so I believe we will be watching the Japanese version, but I’ve never actually seen the original English dub of the film. If anyone out there in podcast land has a lead on where I can find one (I know it’s not a legitimate release), I’d love to see it before we record – just to have another notch on the belt, so to speak. If you would like to take part in the discussion, please send in your homework before March 23rd to be included in the next Daikaiju Discussion episode!